Trane has been in the HVAC business since 1885, and the company started as a plumbing business in La Crosse, Wisconsin. The company’s founder, James Trane, is credited with developing a unique low-pressure heating system that gave the company a place in home heating. Later, James’ son, Reuben, developed a convector radiator that established Trane as a reputable HVAC company known for reliable and innovative products. In 1931, Trane introduced air conditioning systems for homes, and seven years later, the company expanded to serving large commercial properties. Today Trane operates in more than 100 countries around the world and is supported by 29 global manufacturing facilities, and the headquarters are located in Dublin, Ireland with U.S. operations headquartered in North Carolina. Many HVAC systems are built from standard parts that are used by a variety of manufacturers, but Trane stands out from other HVAC companies by producing their own parts. The advantages of this approach to HVAC system production is that Trane has the utmost control over the quality and specifications of the parts that are used in their heating and air conditioning systems. Each Trane HVAC system is tested against superior quality standards at the company’s Systems Extreme Environmental Test lab in Tyler, Texas. 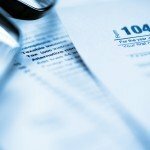 The protocols include more than 2,600 hours of testing that occurs over two weeks. 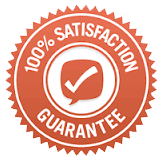 The lab not only ensures that the systems meet the company requirements, but engineers also attempt to find the breaking points of the components. Over the course of just a few months, the systems are placed under the same pressure as would occur in a residential setting over a five-year period of time. Our technicians can also recommend Trane thermostat controls that will improve the efficiency of your HVAC system and reduce your energy use. We can also improve the indoor air quality and comfort throughout your home with Trane products and zoning systems. 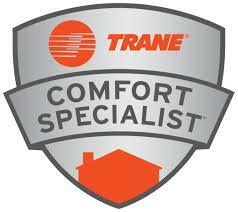 Are You Considering a Trane System for Your Home? Do you experience uneven temperatures inside your home? How much do you typically spend on repairs and maintenance for your current system? Are you satisfied with the quiet operation of your system? Would you like to have more control over your energy use and utility costs? Do you and your family experience allergies and respiratory problems? Are you satisfied with the indoor air quality of your home? To learn more about our Trane HVAC systems, contact And Services to schedule an appointment with one of our Trane technicians.